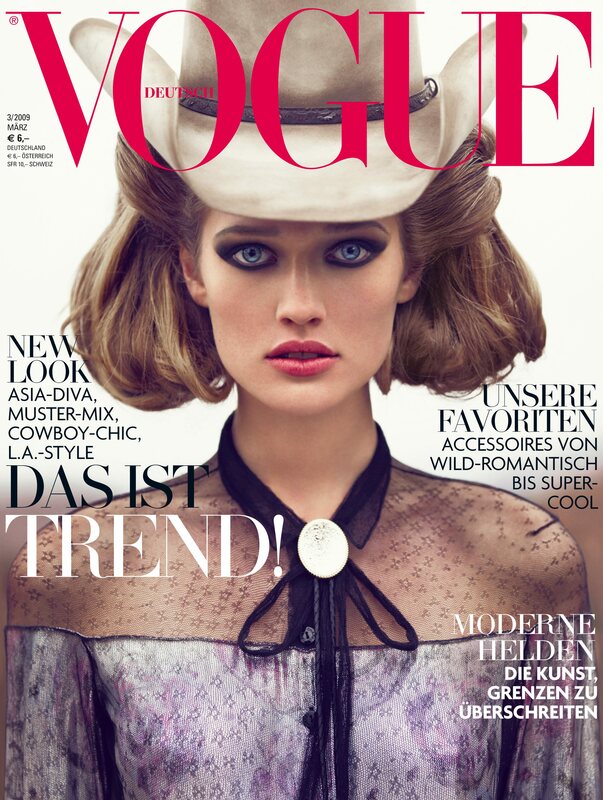 Vogue Deutsch August and Vogue Italia November 2008. 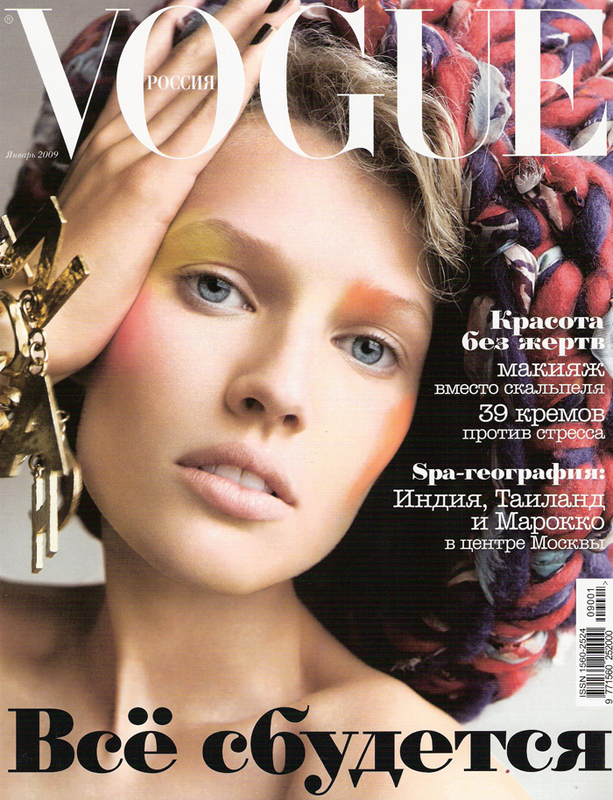 Vogue Russia January and Vogue Deutsch March 2009. 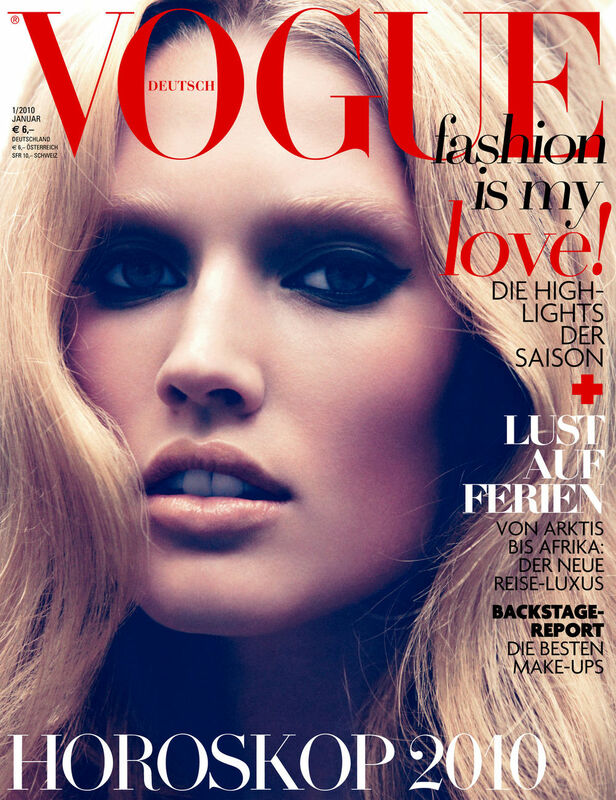 Vogue Deutsch January 2010, by Camilla Akrans. Caroline, Iselin, Anne and Toni for Vogue España November 2010, by Victor Demarchelier. Vogue España April and October 2011, by Alexi Lubomirski. 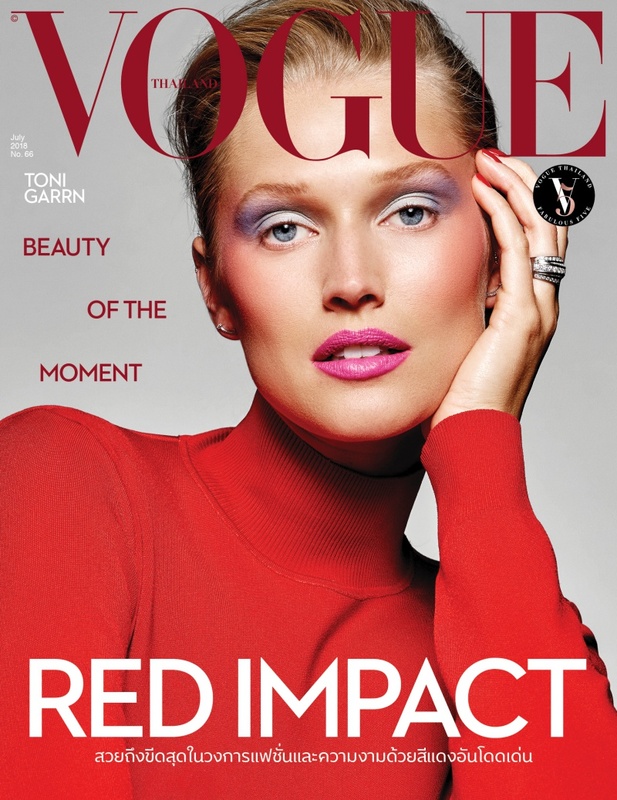 Vogue España June 2012, by Tom Munro. Vogue Deutsch August and December 2012, by Alexi Lubomirski. 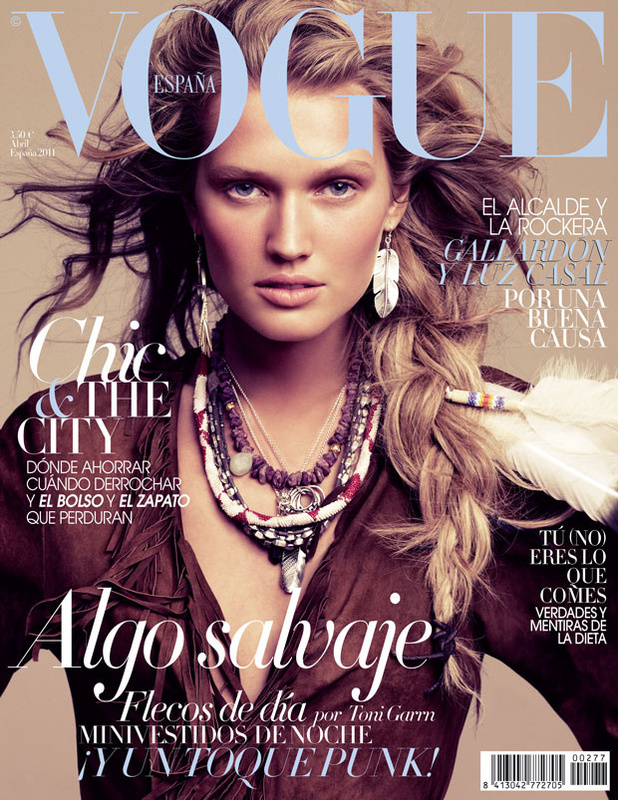 Photographed by Nagi Sakai for Vogue Mexico February 2013. Vogue Ukraine January 2014, by Benny Horne. 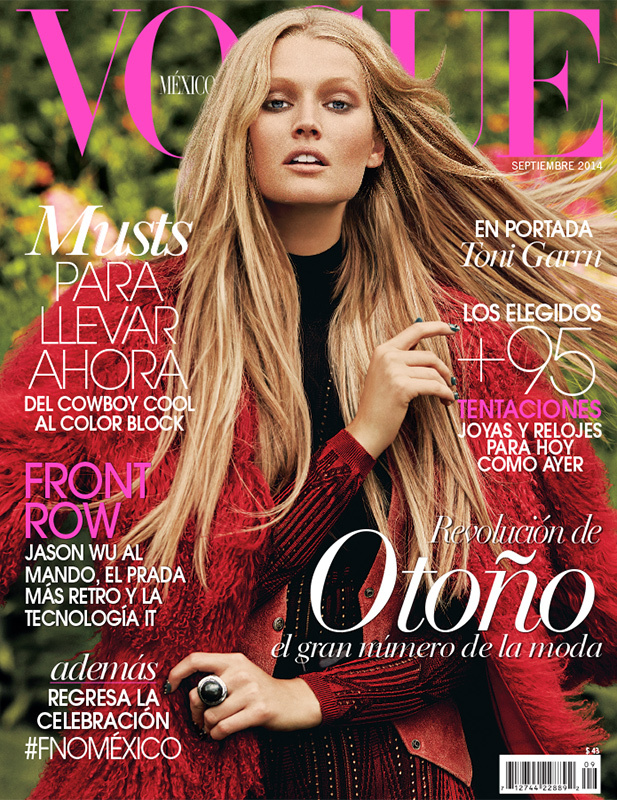 Photographed by James Macari for Vogue Mexico September 2014. 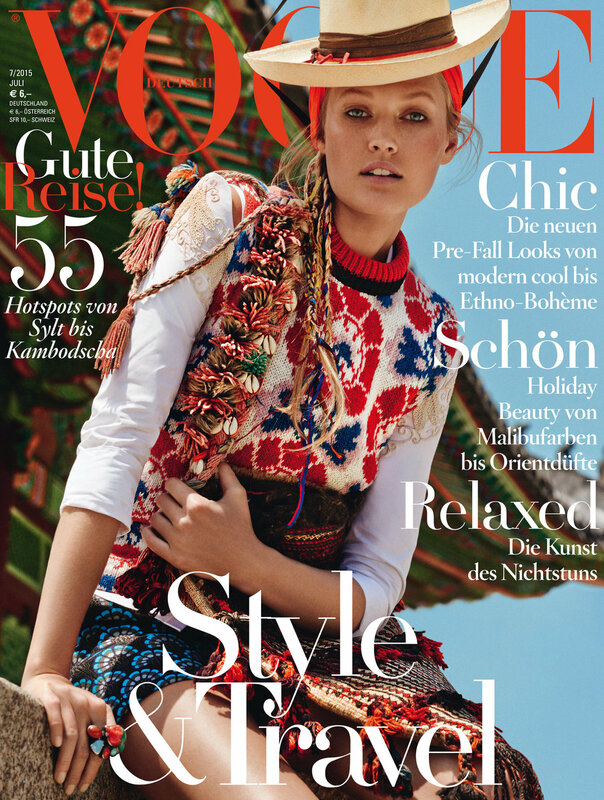 Vogue Deutsch and Vogue Korea July 2015. Vogue Deutsch February 2017, by Giampaolo Sgura. Vogue Portugal September 2017, by An Le. Vogue Thailand July 2018, by Yu Tsai.